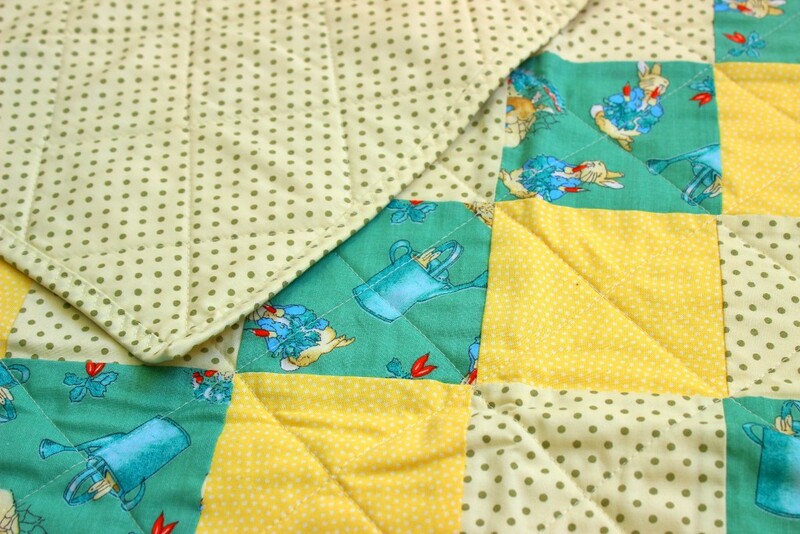 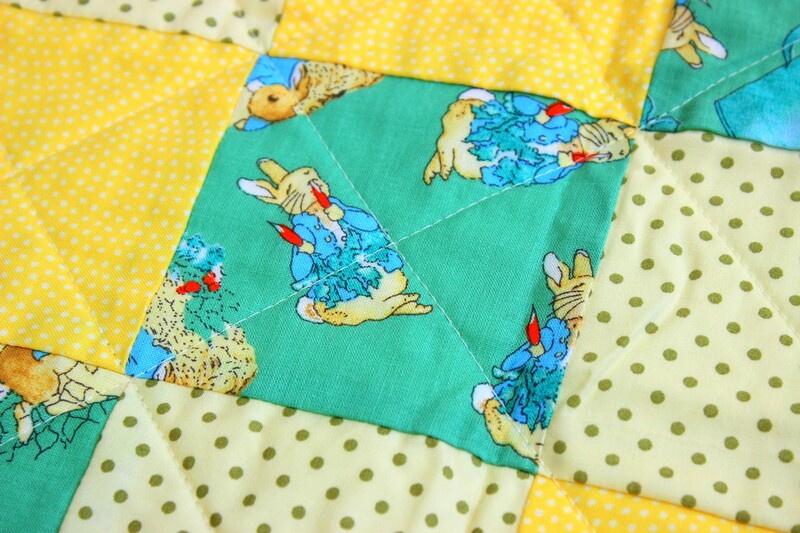 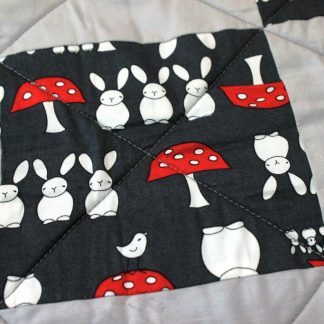 A charming baby quilt featuring Beatrix Potter’s best loved character, Peter Rabbit. 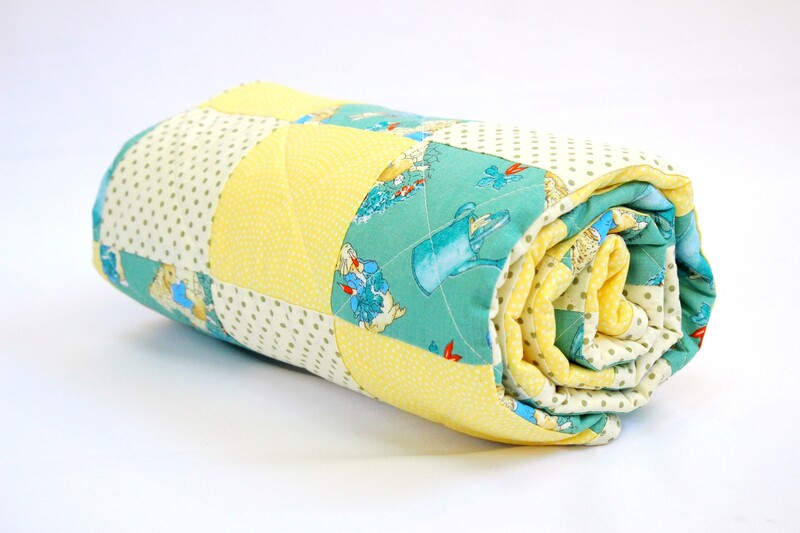 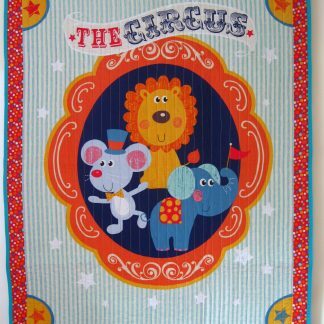 Great as a snuggle blanket or play mat for both little boys and girls. 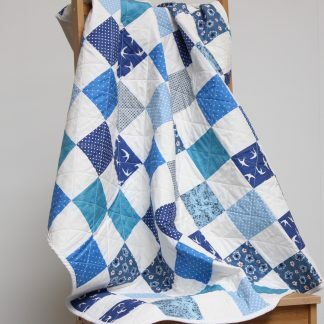 Made with pure cotton fabrics for the front and back, with a pure cotton wadding. 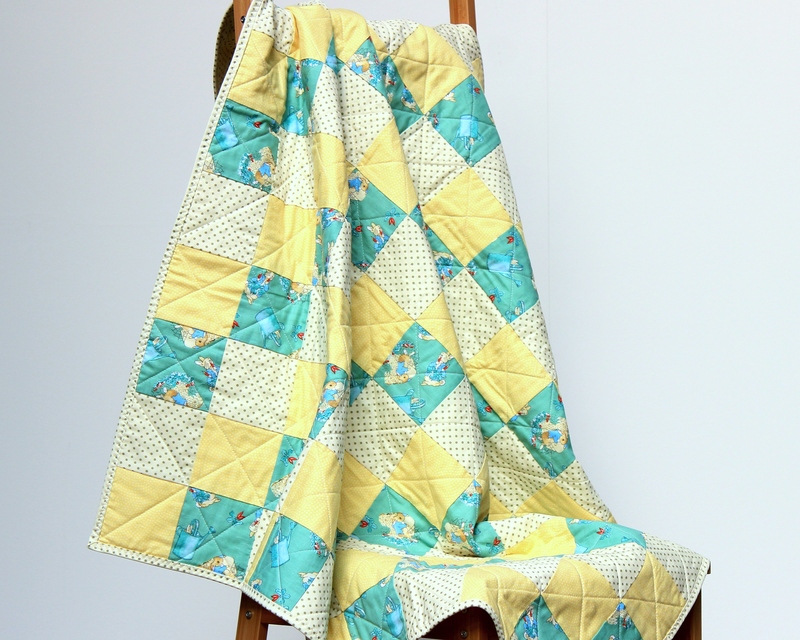 Measures approximately 105cm x 105cm.